Situated in the beautiful beachside town of Barceloneta, this one-bedroom apartment in Barcelona is a great choice for an escape to Gaudí´s city. The area, home to many bars, cafés and some of the best seafood restaurants in Barcelona, is sure to make your Mediterranean getaway a memorable one. And with the beach just a short walk away, and easy access to all of the Barcelona´s gems, the city will be at your fingertips! A simplistic, yet homey design, is sure to make feel guests right at home. The apartment enjoys an open-floor design, meaning that the well-equipped kitchen, dining area and living room all share a space. Unwind after a day of sightseeing on the comfy sofa, while you watch TV, or if you choose, step out onto the balcony, and look out over this beautiful Barcelona ´barrio´. The bedroom is furnished with a double bed, meaning that this apartment can accommodate up to two people. This residence has one bathroom fitted with a walk-in shower. All linens and towels will be provided for your stay. This charming home-away-from-home, complete with heaters, is a great choice for those who seek a getaway to the Catalan capital, any time of the year! Barceloneta is a lovely neighbourhood in the Ciutat Vella district of Barcelona, located where the island of Maians was once situated. It is known for its expanse of beaches, as well as its numerous bars and seafood restaurants. You will find the town close to the Barcelona Port, near to some great museums and within a short walking distance or a quick metro ride from all of the top spots for sightseeing in the city. La Barceloneta was originally constructed for the residents of La Ribera, who were displaced by the construction of the Ciutadella fortress (now the Ciutadella Park) built by King Felipe V in the 18th century. Since then, with the development of Port Vell and Port Olímpic, the area has become a major attraction for tourists and residents alike. The Barcelona aquarium and the IMAX theatre are situated close by, as well as the large Maremagnum shopping centre and a number of nightclubs. What´s more, when walking down Passeig de Colom from Barceloneta, you will soon find yourself at Las Ramblas. 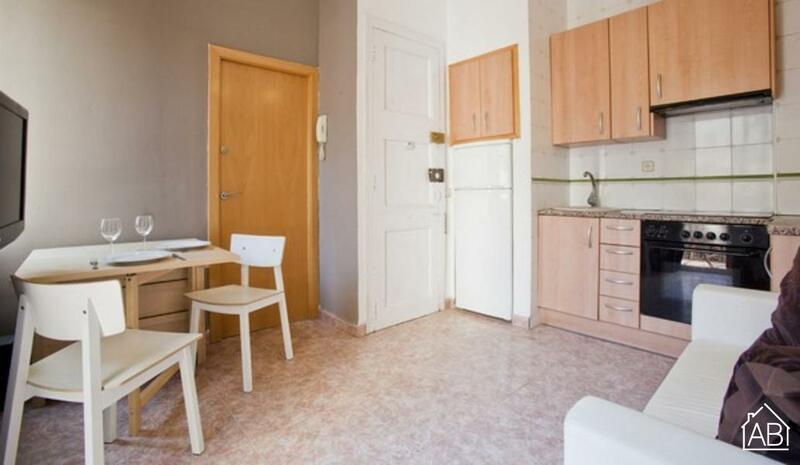 There is a wide range of beach apartments in Barceloneta, located right on the Mediterranean coast, making this area the ideal choice for a spring or summer holiday in Barcelona.